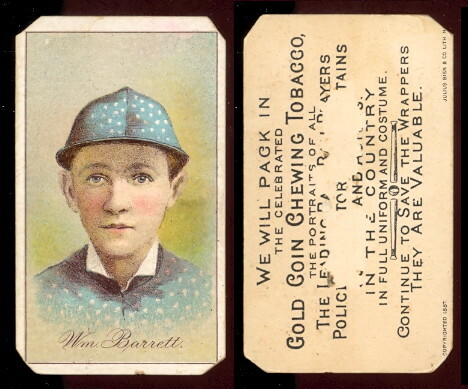 Buchner Gold Coin tobacco issued a large set of tobacco cards in 1887. 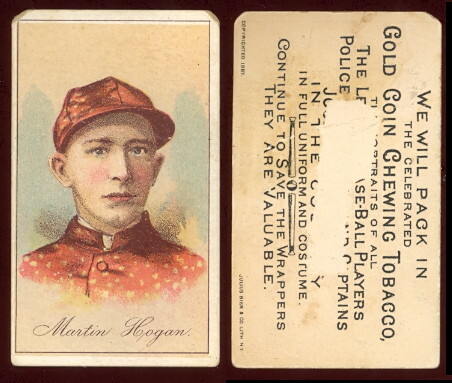 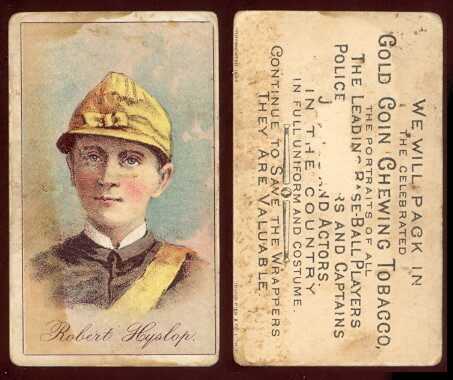 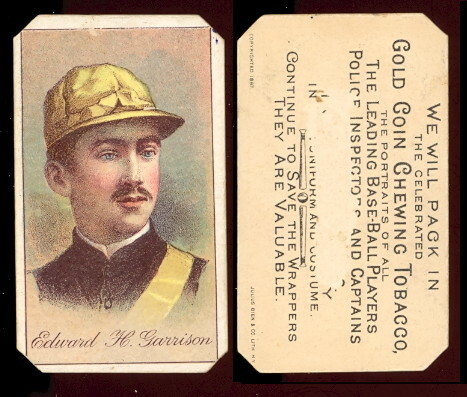 There are approximately 325 cards in the set which includes 143 Baseball players, 103 Police Inspectors, 31 Jockeys, and 41 Actors. 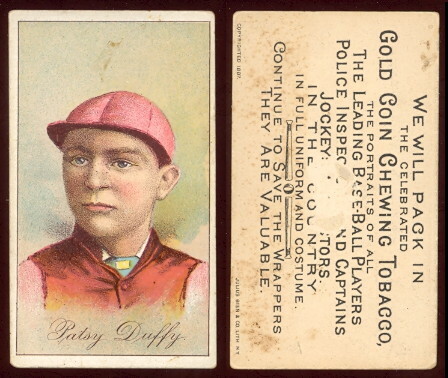 These Jockey cards are designated N284-3 and there are 31 known subjects. 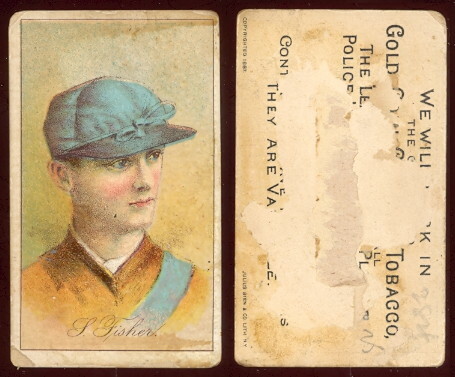 Isaac Murphy is the key card in the jockey set. 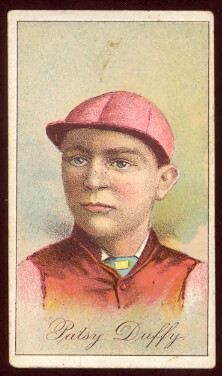 The cards measure 1-3/4" by 3" and feature color portraits of the famous Jockeys. 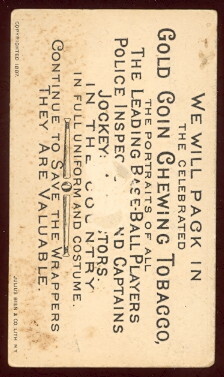 The backs have an ad for Gold Coin Chewing Tobacco.